PITMAN, NJ – Given the increasing number of older Americans who will require health care in the coming years, the role of the gerontological advanced practice registered nurse (APRN) is more crucial than ever before. In response, the Gerontological Advanced Practice Nurses Association (GAPNA), an organization dedicated to promoting professional development and providing top quality education for advanced practice nurses, is developing a new APRN gerontology certification. The certification will help distinguish and validate the expertise of APRNs who are highly skilled in managing complex medical cases, which can be a challenging undertaking. 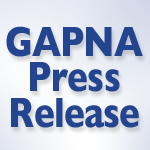 More information can be found in a landmark white paper developed in 2015 by GAPNA, GAPNA Consensus Statement on Proficiencies for the APRN Gerontological Specialist. The new certification examination will be offered for the first time at the 2018 GAPNA Pharmacology Conference in Boston, MA. The deadline to apply for the exam is February 2, 2018. You do not have to attend the conference in order to sit for the exam. GAPNA is the organization of choice for advanced practice nurses seeking continuing education in gerontological care as well as networking and peer support from experienced clinicians. Its members are an elite group of APRNs who advance the practice of gerontological nursing, and the well-being of the public. More information on eligibility and registration will be available on the GAPNA Website once the pilot testing phase has concluded. The Gerontological Advanced Practice Nurses Association (GAPNA) is an elite group of APN's who advance the practice of gerontological nursing. Our mission is to promote excellence in advanced practice nursing that enhances the well-being of older adults. Posted on December 7, 2017 - 11:58am. 0 Comments. Last updated on March 6, 2018 - 3:02pm.